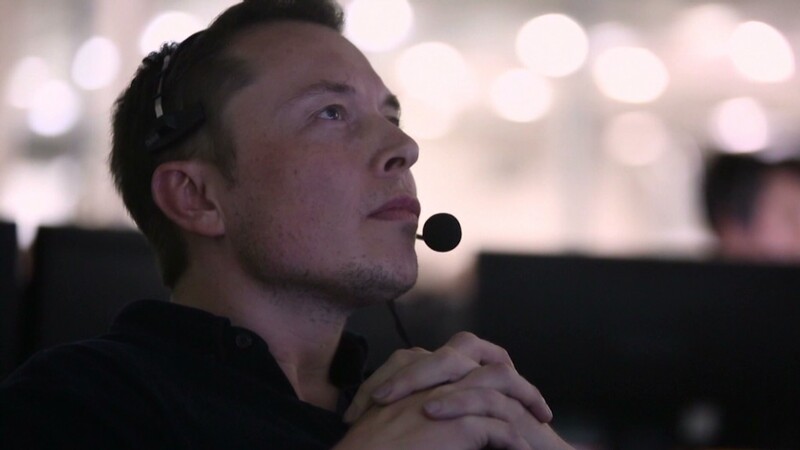 Elon Musk cancels launch... admits to "dark dreams"
Elon Musk cancels launch.... admits to "dark dreams"
Elon Musk's dream to conquer space met with a major setback, when he canceled a plan to launch an Asian satellite that had been scheduled for Wednesday. The launch of the SpaceX Falcon 9 rocket might be delayed for up to two weeks -- and maybe longer, depending on what a troubleshooting investigation finds. Musk, who founded SpaceX in 2002, made the announcement on his company's website, "We are not aware of any issue with Falcon 9.... but have decided to review all potential failure modes and contingencies again." The launch was originally planned for Tuesday, but was delayed until Wednesday, following a malfunction last Friday that caused an F9 reusable rocket to self-destruct. The explosion, which occurred over the McGregor, Texas launch area, did not cause any injuries according to SpaceX. The company says it wants to "triple check" to make sure there are no potential flaws with the interfaces of the rocket and the AsiaSat 6 satellite that it was scheduled to launch 22,000 miles into space. While Elon Musk's daydreams encompass big ideas, such as manned space flight, it's his nighttime dreams that can sometimes be really scary. "As we get closer to a rocket launch my sleep is worse," Musk told CNN's Rachel Crane in an interview conducted Aug. 21 at SpaceX. "I did have for a while these sort of horrible nightmares of rockets failing before launch because in the very beginning our rockets did not succeed." The 43-year-old native of South Africa said he's had dark dreams his whole life. "I don't know why," he said "I've always had those from when I was a kid." He believes his "really vivid" dreams "correlate to stress in the real world." It's a world Musk is trying hard to change. "The five things I thought would most affect humanity were sustainable energy, the Internet, making life multi planetary, AI (artificial intelligence) and rewriting human genetics," he said . As for the order of the issues, he decided to start with the Internet, helping to create PayPal, which is now owned by eBay (EBAY). The man behind Tesla Motors (TSLA)said he, "switched back to electric cars and then I got into space." Musk believes humans won't be able to make it to Mars if rocket technology can't advance enough to make rockets reusable. His goal is to cut launch costs to the point that it's feasible for space exploration to be an affordable, and necessary, reality.